Since I was little one of my big fears was being a loser. To avoid such a terrible fate I spent much of my youth trying to ingratiate myself with the ‘cool kids’, whether it was hanging out in the woods with the eight-year-old rebels or trying to pretend I enjoyed drinking alcohol at age sixteen. Higher education wasn’t too dissimilar as Oxford University provided all sorts of cliques to hang out with: the ‘rahs’ who wore Jack Wills and drank champagne, the ‘thesps’ who were terribly dramatic, the ‘journos’ who hacked about trying to get the best scoop and many more. Yet at age twenty-two my fear finally caught up with me and things came to a rather climactic head (to be blogged about anon). I was forced to consider that maybe I wasn’t so cool after all and was just one giant loser. Despite my best efforts it seemed the sorting hat had decided to put me in Hufflepuff. Because isn’t that what a Hufflepuff is, a loser? I mean, their defining characteristics are being just, loyal, patient, true and unafraid of toil. They sound a little like hard-working sheep or maybe even lemmings, depending on how the mood takes them. And what even does patient mean? Do they hang around waiting for something interesting to happen whilst all the Gryffindors and Slytherins take the bull by the horns and have a fun time? And isn’t ‘unafraid of toil’ just a synonym for uber-geek? No, Hufflepuff is definitely not the house for me, I’m cool after all, aren’t I? Well, no, as I was forced to learn the hard way, because there is nothing less cool than trying to be cool. Those self-professed ‘cool kids’ who fashion a large part of their identity on being cool and get a kick out of being cooler than others are clearly something and it ain’t cool. What they are is insecure, forming little cliques from which they can take potshots at others, regularly consoling themselves that they’re OK as long as they’re not like those dreaded losers over there. But what a sad life to live when someone spends so much time trying not to be like others rather than getting down to the hard task of being themself. Like me, I imagine they fear what’s waiting for them on the inside. Meanwhile, a true Hufflepuff doesn’t have time for trying to be cool, instead they seem pretty chill with just being themselves whilst also knowing that this is no easy task hence the patience, hard work and loyalty. So, after all this time, as I busily projected my insecurities at Hufflepuff I’ve come to realise that when those narratives of superiority and coolness die it’s clear that the Hufflepuffs are no losers. Maybe they’re the real winners because they realise being true to oneself is not a competition. Now here’s J.K telling it how it is (and not giving away any spoilers about the last book which, incidentally I still haven’t read…eek). So, you’ve got £200 in your pocket and you’re ready to Go. London unfolds before you – its Victorian terraces, towering skyscrapers, penthouse apartments, silver dogs and prisons. All that saving and you might finally be able to get a foot on the property ladder, it’s what you’ve always dreamed of. Yup, just a typical game of Monopoly, except this time I’m going to bend the rules a little to show the parallels between the board game and the game of life. Let’s say there are 6 players and everyone is ready to get going. You, player 1, full of hope and aspirations start the game with £200. Next to go is Archibald, player 2, who already has £2,000,000. Why does he have such a high amount? He inherited it from a previous player. Whereas you’ll have to work hard to earn your cash Archibald will barely have to lift a finger. Unfair? Yup. That’s life. So, you keep trundling round the board just waiting to be able to buy your first little piece of land. However, it turns out Hugo, player number 3, is a member of one of the few land owning families in the country and it just so happens that his family already own a whole load of London. This means you won’t actually be able to buy the land you’ll just be able to rent it off Hugo’s family. Furthermore, because Hugo’s family have been hoarding land for so long it has become an increasingly scarce resource, meaning it’s very, very expensive because so many people want it. Better get moving round that board. Fortunately, Hector, player number 4, is the banker and he’s there for you. He gives you £200 every time you pass Go to help you get your first foot on the property ladder. Of course, it’s not free money, it’s actually a loan and because the system isn’t that well-regulated Hector’s happy to keep loaning you money, he’ll even give you a mortgage, even though it’s unlikely you’ll be able to repay it. He also turns people’s dodgy mortgages into investment opportunities for rich people who want to get richer. Multiply this process by millions of people and when they start failing to pay off their mortgages the whole system comes crumbling down and lots of people get in debt, including you player number 1. Fortunately, Hector knows Bertie, player number 5, who is a politician, and rather than get Hector fired or even put in jail for corrupt behaviour he actually bails the bank out with public money – that’s right, he takes some cash from your hard-earned stash and gives it to Hector. So, strapped for cash, in debt and struggling to get by you decide to make a stand. You wave a placard, you shout a slogan or two, you appeal to the better angels of people’s nature in the hope to make the system fairer. Enter Bobby, player number 6, he’s a policeman and he’s got no time for the likes of you. In fact, Bobby likes to uphold the rules of the game and he’ll lose his job if he doesn’t. So it’s off to prison with you for being a troublemaker. That’s what you get if you challenge the establishment and try to change the system. And let’s not forget some of the other players who haven’t been mentioned including Eric, the accountant and consultant who advises Archibald and his rich friends on how to avoid paying taxes; Rupert, who runs the newspapers and happily prints articles on how terrible and greedy poor people are whilst lavishing praise on the rich; and even quiet and unassuming Peter who actually works at MI5 and enjoys spying on groups of ‘subversives’ who think climate change and capitalism are somewhat problematic. He’ll happily team up with Rupert, Bobby, Bertie and the rest in order to keep the establishment in place and the masses at bay. The beginning of Star Wars Episode 8 is going to surprise quite a few fans. It goes like this: having arrived at the secret island where Luke Skywalker has been hiding, Rey, the hero of Episode 7, will give Luke his lightsaber back. After that they’ll have tea, chat about Midi-Chlorians for a bit and then Rey will say her goodbyes and leave. Yup, she will exit the plot and go off with Chewie to fly around the galaxy in a cool spaceship. But why do something as drastic as this, just when Star Wars was slowly catching up with the 21st century by casting a woman as one of the heroes of the film? Because Rey knows nothing could be more boring than having to go through the motions of becoming a hero – we all saw Luke Skywalker do it and given that Episode 7 was basically Episode 4, they might as well not bother making 8 & 9 and just copy/paste the new characters on top of the old ones in 5 & 6. It’ll save us all the cinema ticket price. In Episodes 4 – 6 we saw Luke Skywalker go through the motions/plot devices of the Hero’s Quest, a supposedly “archetypal” story structure that 20th century mythologist Jospeh Campbell came up with. Campbell argued that this “fundamental” story has existed in cultures around the world for millenia. He thought it was the story of all time. In brief it is the story of a character who is called to do something great – drop a magic ring in a volcano, kill Voldemort, kill Darth Vader etc. Firstly they get some mentoring so they can learn the tricks of the trade (often killing), then they’re given a talisman to help them on their quest (often a weapon), then they leave the safety of their home and trek off into the unknown. There they will be tested by a range of foes and challenges (usually fights) until eventually they have to face the big baddy in order to triumph (usually an even bigger fight). Meanwhile, they’ll rescue a damsel in distress, resolve their father issues, and return home victorious. Luke Skywalker went through this exact process because George Lucas was good mates with Joseph Campbell and so based Episodes 4 – 6 off of Campbell’s research. A few other hallmarks of the Hero’s Quest include the fact that heroes are basically always men – women are either trophies to be won or seductresses to be conquered (or a bit of both). However, with the introduction of Rey in Episode 7 the masculinist/sexist bent of the Hero’s Quest has been challenged (as it has in other films such as Mad Max). This is progress: Rey has been given the chance to play a role that was previously reserved for men. She’ll now get to fight with giant lasers and move things without touching them. This is awesome and as Laurie Penny makes clear it’s ace that new, diverse characters are finally being invited to the hero’s table – this represents a big cultural change in the stories of our times. But the Hero’s Quest is still the Hero’s Quest – an overly-simplistic, totalising monomyth concocted by Campbell and retroactively applied to hundreds of older stories. It’s easy to claim something conforms to the Hero’s Quest as the structure is so broad and vague – someone gets asked to do something, they’re challenged, things happen and then more things happen (these things usually always involve violence). But it’s blind to cultural sensitivities and nuances, and up until only recently it was reserved for cis, white men. And Rey knows this. Rey knows she hasn’t spent years living by herself on a desert planet just so she can endure an unimaginative, oft-repeated plot structure – one where she finds a mentor, gets trained, fights foes, resolves her mother issues, and returns home the hero (yawn). She doesn’t want a story that’s so historically mired in sexism, patriarchy, appropriation and the values of capitalism (especially ruthless individualism). “Sod that for a packet of biscuits” thinks Rey, she wants a story that transcends these tired clichés and prejudices. So you can have your lightsaber back Luke, Rey’s got a different narrative to live. The Hero’s Quest in brief! 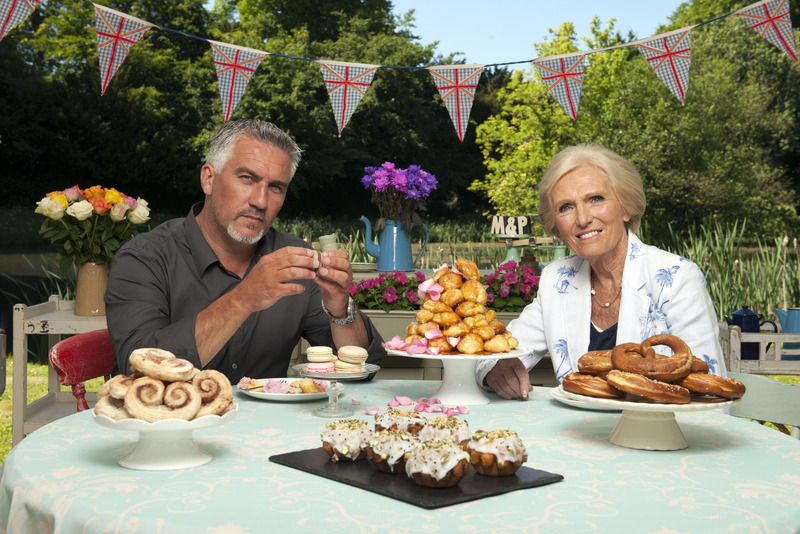 There’s something amiss in the Bake Off tent, not quite rotten but still not quite right. It’s visible in the eyes of the contestants as they wait nervously for Mary and Paul to judge their baking. It’s in the wringing of hands, the stressful sighs and the general air of fear. It bubbled to the surface most overtly when, in episode one, one of the contestant’s Black Forest gateaux kind of just fell apart in an oozing, chocolately mess. Minutes from the deadline she began to cry and comedian Sue Perkins came to console her saying “it’s just a cake” to which she replied “it’s not just a cake.” If this is indeed the case and it is not just a cake then that begs the question what exactly is it? As the Court of Denmark in the play Hamlet comes to act as a metaphor for the entire body politic of the country, symbolic perhaps also of Elizabethan England, then perhaps there are ways in which the Bake Off tent is a metaphor for our own society. From birth onwards we are relentlessly judged – our parents/guardians/carers tell us how and how not to behave, our teachers deem us worthy by giving us marks and grades, professors at university do the same except the marks tend to be lower, our bosses tell us if we’re good or not via the medium of money (if we’re lucky enough to have a paid job), mainstream advertising likes to remind us that we’re not good enough, newspapers like to scapegoat and blame whole groups of people and even our friends and loved ones will often be there to remind us what we could be doing better. It is from this societal context of relentless comparison and competition that the twelve bakers arrive at the tent. Judging only what I’ve been shown in the first hour-long episode it seems like lots of them have something to prove – they want to prove they’re good at baking, really good. This could be a healthy, competitive attitude but when one contestant explained that her mum had told her not to bother coming home if she got kicked out in the first round one does start to wonder. Furthermore, as Paul Hollywood reminds us, the contestants, whilst great bakers, are at “the bottom of pack of great bakers”. It’s so hard to be the best especially when Hollywood and Mary Berry seem to have a monopoly on bestness anyway, it’s an ever elusive goal that we can be goaded into pursuing even though we’ll never attain it. It’s basically the mantra of our society – work harder, be better, work harder still and one day you might be happy (oh, and don’t complain whilst you’re at it, all that stiff upper lip and ‘keep calm and carry on’ sort of thing). And then there are the facial expressions. The grimaces of fear and anxiety as Berry considers the flavour and Hollywood judges the sogginess of the bottom juxtaposed with the sighs of relief when the baked goods have been judged worthy. It seems like one major ingredient in the Bake Off tent is desperation as contestants try to fill the holes in their hearts with nods of approval from Mary Berry and a delicious assortment of baked goods. The idea that these people may already be more than enough just as they are and don’t need to prove anything to anyone seems an alien concept when it all comes down to being the best. At the end of the episode one of the contestants (the one whose cake collapsed) admits that she feels like she’s “been initiated into truly what Bake Off means”. What, then, is that? Is it to strive constantly to impress others hoping that their admiration will yield a sense of worthiness? Is it to chastise oneself for every soggy bottom and forget to celebrate every other solid bottom? Is it to whip guilt and despair with a tantalising sprinkle of unattainable hope all served on a dish of insecurity? If so it sure makes for compelling viewing!